Senan Molony presents a fascinating insight into White Star Line’s conduct following the loss of their prize vessel “Titanic”. In his opinion, the ship should never have been allowed to sail whilst in such an unsafe condition. What the author bases this book on, though, is the fact that she was allowed to commence her maiden voyage with a serious fire in a coal bunker. However, it is known that many ships left port with such fires burning, the question here is was it an “Inferno” as claimed by one witness, or “Smouldering” as claimed by another? Mr Molony provides evidence that the fire was already burning before the ship departed Belfast for Southampton, yet nothing appears to have been done about it, had it been a serious fire, it should have been reported to the Board of Trade, but this never happened, and it was only following her Southampton departure that it was taken seriously. We are left to decide for ourselves whether this “Inferno” or “Smouldering” fire caused a weakness in a bulkhead, or even if the metal bulkheads were sufficiently thick. Another suggested factor claimed by the author is the poor quality of the coal used owing to the ongoing coal strike. The usual top quality Welsh coal was unavailable, and the shipping line was forced to scavenge leftover coal from other ships in port. What is truly startling, however, is that of the dozens of firemen, stokers etc. who brought the ship from Belfast, some 95.6% left the ship in Southampton. Surely this is an incredibly high percentage? Why was this? Were they unhappy about trusting their luck to a ship which could likely catch fire mid-Atlantic? The author also makes the point that the “Rules of the road” were, as now, that when meeting another ship or obstruction, to pass starboard to starboard. Officers would have that edict ingrained in their psyche, yet at the last moment she swung to port to pass, which is why she struck the berg on the starboard side. Had she turned to port immediately, there is a strong chance that the iceberg could have been missed altogether. One minor irritation for this reviewer is the number of premonitions quoted in the book. Every maritime disaster is rife with them; London (1866) Waratah (1909) Empress of Ireland (1914). The reader will have to make up their own mind regarding the plethora of post sinking correspondence from the White Star Line and others, Mr Molony has certainly supplied plenty of it and much of it would seem to be suggestive of a cover-up. Overall, this nicely illustrated book is certainly one to give cause for thought. The reader will disagree with some points, but from others there is no escape. 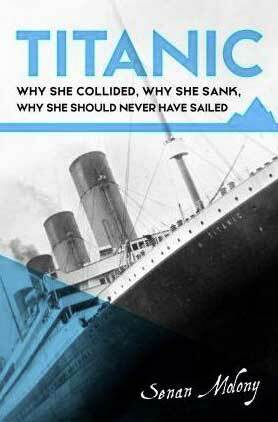 It is a well researched and easy to read book which I thoroughly recommend the serious “Titanic” researcher to add to their library. 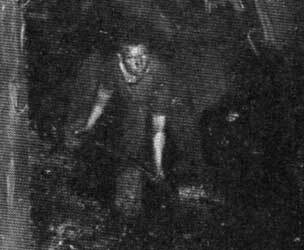 Left: A fireman at work in the bunkers of a transatlantic liner. 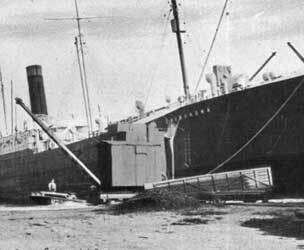 Right: The Cairnrona which also put to sea with a coal bunker fire with devastating results. Join the Titanic: Why she collided, why she sank, why she should never have sailed discussion on our message board, 31 posts, last post by Encyclopedia Titanica.